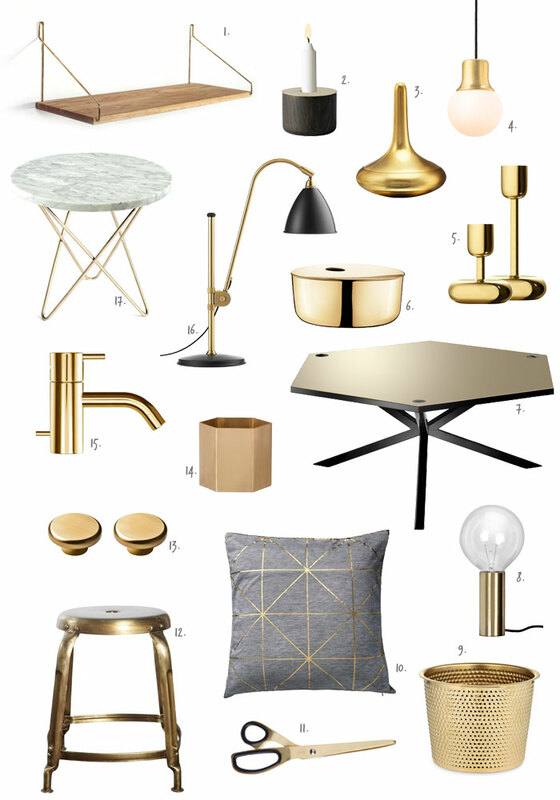 All that glitters is no longer silver – From glowing faucets, burnished door knobs, honeyed furniture to shiny lamps, brass is making a comeback! Brass was in vogue back in the ’70s, but was quickly snubbed by designers that saw it as old-fashioned. Decades later, Brit designer Tom Dixon was among the first to reintroduce brass with the launch of his very popular Beat pendant lights in 2006. A few years later, brass is experiencing an undeniable resurgence and is the metal of the moment, putting an end to the four-decade reign of silver tones. Loved for its warmth, rich gleam, timelessness and artisanship, brass surprisingly adds fresh touches to any decor. It is contemporary, but has an authentic beauty and personality. I personally love it combine with grey or black, marble or wood.